Since the kitchen is disassembled, we are trying to cook all our meals out on the grill. 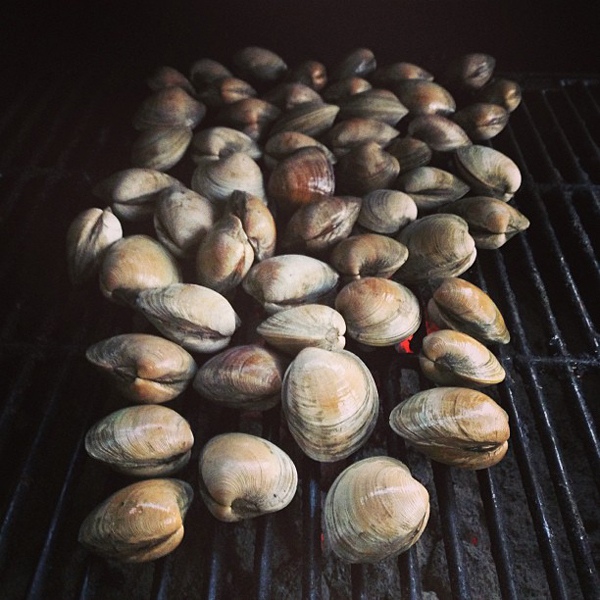 Did you know you can cook clams on the grill? It's really easy. I followed these grilled clam instructions from Martha. 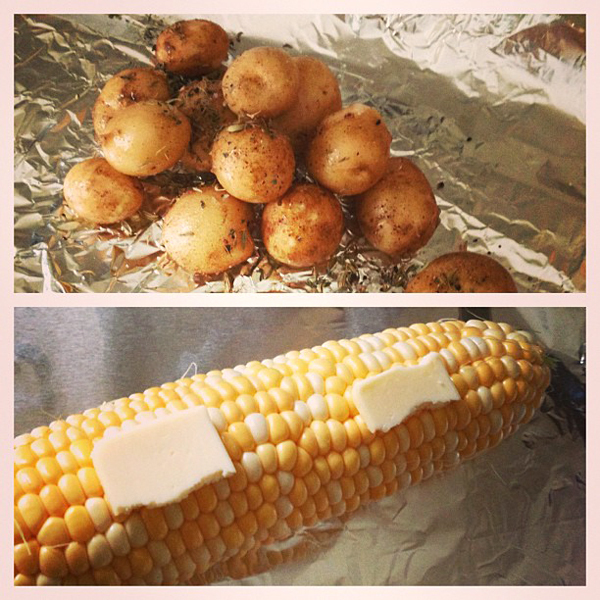 Little baby potatoes from our CSA and some corn in foil packets went nicely with the clams.